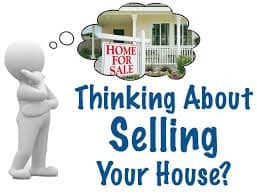 In today’s article, Sell My Bakersfield CA Home we’ll discuss how to list your home, what to look out for and the process of selling. It’s important to know what steps to take and be educated in the selling process so you don’t make mistakes which when selling a house in Bakersfield can cost thousands! We’ll guide you through the selling process from hiring a Realtor in Bakersfield to sell your home to closing escrow and make sure to keep you informed along the way. Hiring a Realtor – This is the first step in buying or selling a Bakersfield CA home. Of course you can buy or sell a home on your own without an agent to represent you but statistically selling a home without a Realtor not only may cost you money but greatly increases your liability. Not hiring an Attorney and representing yourself in a court of law will also save you some money but it doesn’t make it the wisest choice. Sellers that hire an agent to sell their home often see higher sold prices and shorter days on market while their home is listed. One of the first questions I often receive is how much is it going to cost me to Sell My Bakersfield CA Home? The truth is commissions are negotiable so if you as the seller think the agent is charging to much negotiate with them. Before you ask the agent to reduce their fees though ask them what they offer for the fee their charging. Tholco sellers get the luxury of selling their home at a reduced cost without sacrificing any service, click here and check out our reduced listing commission. Lastly, make sure to hire a Bakersfield CA agent to sell your home that has a proven track record, a good way to look for those results is by using Yelp! Valuation – Accurate valuations are extremely important! The last thing you want as a seller is an agent telling you that the value is higher or lower than it really is. Of course, it’s nice to hear the house you own is worth more than you thought but inaccurate values may cost you money and time in the end. Inaccurate high values cause less people to see your home and ultimately longer days on market. Low values can cause multiple showings but if an offer is not received in a timely manner it can also cause a seller to leave money on the table. The sweet spot is the fair market value, not to high and not to low. We pride ourselves on accurate valuations which accomplishes our clients goals of selling their home in the shortest amount of time for the most money. With a proven track record of only 2% variance from valuation to sales price you can guarantee you’re home will be sold for top dollar without keeping it listed for longer than necessary. Listing – Now that you have an agent in Bakersfield to sell your home and an accurate value as to what price to list your home for sale, you’re ready to list your home on the market. Listing your home means you need to be prepared for showings. Check out our article on Getting a House Ready to Sell. If you’ve selected an agent that is tech savvy and familiar with online marketing like we are then your agent will list your home on the Multiple Listing Service and on major real estate websites like Zillow.com, Realtor.com and Trulia.com just to name a few. Statistically, 90% of buyers shop online for houses and so with the new online method of shopping for homes you need to have your home listed online to maximize your homes exposure. If all goes well and you’re priced right then you should receive an offer in the upcoming weeks. Keep in mind that the first 30 days of being listed on the market is your most critical time. Homes listed on the market that aren’t under contract in excess of 30 days cause buyers to wonder if the home was overpriced or what is wrong with it that it hasn’t sold. Often times the first offer you receive may be your best offer so never scoff at the first offer you receive. RELATED: When Your Home Selling Price is too High, Beware! Offers – Obviously this is the best part in our article, Sell My Bakersfield CA Home. At this point the marketing has paid off and now you have an offer. When you receive an offer we’ll discuss the offer in detail as well as prepare and provide you a net sheet to show you what you’d net from the sale. If the terms like close of escrow date, inspection timelines and price the buyer is offering to name a few are not to your satisfaction then we’ll counter the buyer back with appropriate terms. The countering process will go back and forth until both buyer and seller have agreed. Once all terms have been agreed upon by both parties then we’ll open escrow. Escrow – Opening escrow is a process that occurs when both a buyer and seller have mutually agreed to said terms. Once escrow is opened then the escrow officer for the file will reach out to the parties and begin compiling the information stipulated in the contract. For instance if the Earnest Money Deposit is stipulated as $3000 in the contract then the escrow officer will reach out to the buyers Realtor and request them to send the money. Escrow also assists with fees and the buyers lending to make sure if financing is involved that loan docs are ordered in time to make sure all deadlines are met. Keep in mind, escrow is a NEUTRAL third party so they’re there to help both buyer and seller to accomplish the goal as it’s written in the Residential Purchase Agreement. Closing – The last step in our article, Sell My Bakersfield CA Home is closing escrow. At this point, escrow has compiled all the items as written in the contract, either the buyer or lender has sent money into escrow to fund the deal and we’re just waiting for the confirmation of recording from the county recorders office. Once we get recording confirmation then the home is officially sold. This means your name is no longer on the title and you have no more liability to the property. Once the agents receive recording confirmation from the county recorder by way of the escrow company they’ll reach out to their clients and make arrangements for keys to be exchanged. Hopefully this article, Sell My Bakersfield CA Home has hoped you understand the selling process more. As always, if you have any questions about selling your Bakersfield Home or are ready to list your home please contact us. Additionally, feel free to leave a comment below.